On January 4, Lucky Dragon Casino closes its doors. The management of the casinos says that the closure is temporal. In fact, the administration says it will not close the hotel. The facility’s management even says that the restaurant will not shut down. It will serve visitors who check in the hotel. This news goes out to the public. As such, the facility continues to receive visitors. The casino section, however, doesn’t work. When Is Lucky Dragons Las Vegas Casino Set To Close? Now, what many think is temporal may turn to be permanent. There is a word that the casino may be on its way to foreclosure. Lucky Dragon Casino opens its doors slightly over a year ago. The exact date for the opening of the property is on November 9, 2016. After serving for a year or so, the facility is closing down. Remember that a few months after opening, the resort shuts down a restaurant. Close to a hundred people lose their jobs. The general manager is one of these people who lose their jobs. The facility says it does this to cut down operating costs. According to Las Vegas Review-Journal, some of the employees are disassembling slot machines . If this is a narrative to believe, then there is no hope to cling on. What may be the problem? A news agency reports that in September, there is a notice. The notice comes to the facility. This notice gets the management and employees off guard. They do not know what to do after the notice. Clark County Offices Show Resort Facing Foreclosure? It talks about a loan that the founder of this Chinese-themed casino takes. The notice aims to ensure Andrew Fonfa pays back the $90 million he owes the firm. According to records at the Clark County offices, the facility is facing foreclosure. There are chances this will happen during the auction that is ahead. It will take place on February 6, 2018. Clark County records show that the notice came to the office last week. If nothing is done before February 6, the facility will face foreclosure. The notice says that there is $48.9 million of the loan that is outstanding. The property on which h Lucky Dragon sits is 2.5 acres. The developer constructs a 27, 500 square feet casino. Besides, there is space for several amenities. There is also a nine-story hotel that is in separate buildings. Las Vegas Review-Journal says that efforts to find the owner are futile. Fonfa is not anywhere to talk about the closure of a facility that opens a year ago. Before opening its doors in the fall of 2016, construction takes five years. The facility has plans to hire 800 people. But right from opening day, the resort attracts few visitors. The number of guests who come in is far much less the expectation. 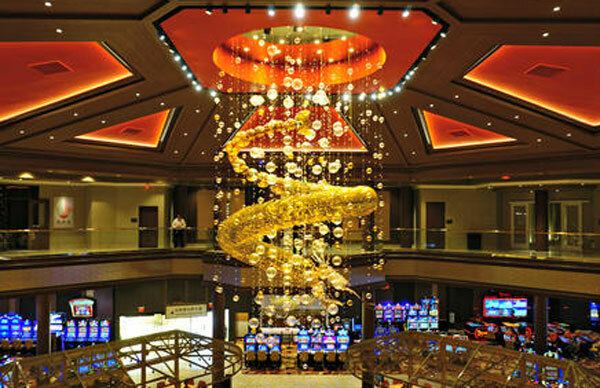 Lucky Dragon Casino has many baccarat tables. Also, this is contrary to what many casinos have around. Many casinos across the street fill their floors with gaming machines. Is Lucky Dragon Casino In Las Vegas Closing?